We are sworn to preserve the memory of the spirit of the men and women who achieved American independence, to promote education, and to cherish and maintain American freedom, patriotism, and the love of country. 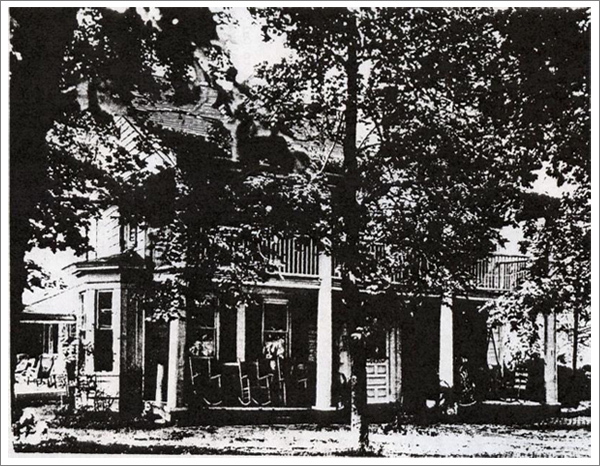 Above is a rare photograph of “Rosemont” or the “John Collins house” before 20th century renovations. It was built in Laurel in 1764 and was the home of Governor Nathaniel Mitchell. Hangs a wreath during the Memorial Day services held on the square in Georgetown each year. 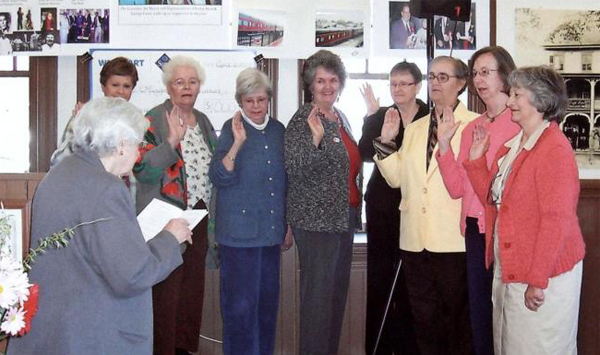 One of our members participates in the Gold Star mothers program in Sussex County. Presents medals to an outstanding senior in an ROTC unit. Presents Good Citizen Award each year to winner of an essay contest. Sponsors a history essay award on subject chosen by NSDAR History Committee. Individual members participate in many community projects such as: Hospice, Meals on Wheels, mentoring and literacy projects. Several times each year we deliver fresh baked goods to Home of the Brave. We also present each veteran at the home with a small personal gift at Christmas. Collects voluntary contributions to be distributed to the eight schools when we submit our chapter achievement awards. Donates a copy of the American Spirit to the Georgetown and Milton libraries. MAJOR NATHANIEL MITCHELL’S CHAPTER IS FUN TOO! Web hyperlinks to non-DAR sites are not the responsibility of NSDAR, the state organization, or individual DAR chapters.